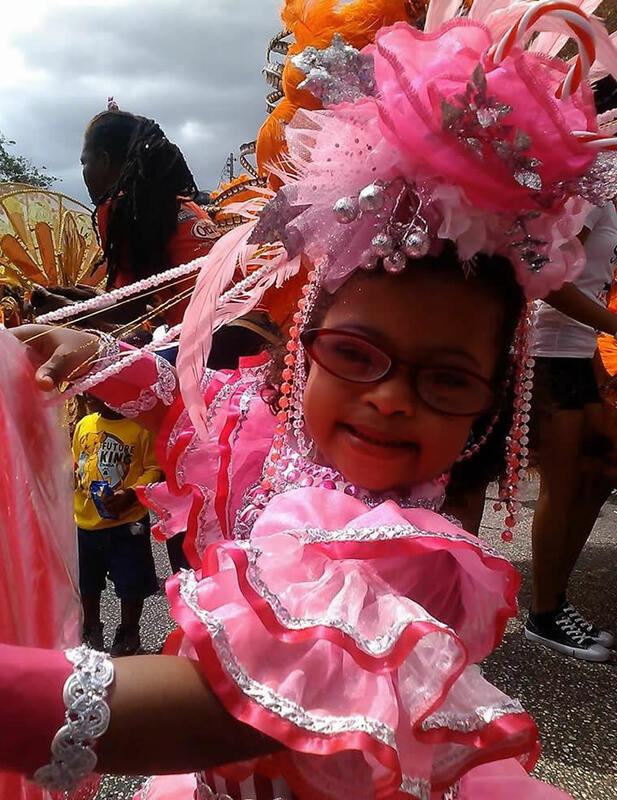 NEW YORK, NY – Four-Year Old Trinidadian Phoebe Neehall appeared in the bright lights of Broadway on September 20th as part of the National Down Syndrome Society (NDSS) annual Times Square Video Presentation, which promotes the value, acceptance and inclusion of people with Down syndrome. The photo of Phoebe, who has Down syndrome, was one of 220 images selected from more than 2,000 world-wide entries. She showcased a vibrant Carnival costume in her photograph which was shown on the News Corporation Sony Screen, located in the heart of Times Square in New York City.